The GCHS is actively involved in habitat improvement efforts for Ohio Endangered Species at Cedar Bog Wildlife Management area. 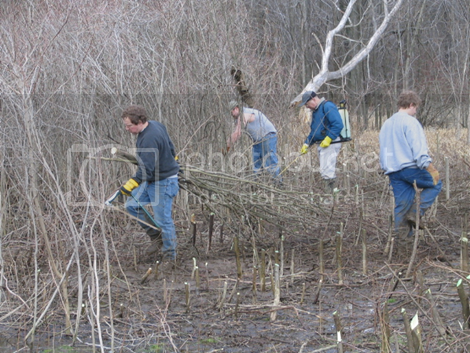 In March of 2007, NINETEEN GCHS members gave their time, and backbreaking labor to help repair a critical habitat. As a direct result result of this project, the animals returned the the area that was cleared by the GCHS. The species had not been seen in that particular field for over 10 years!